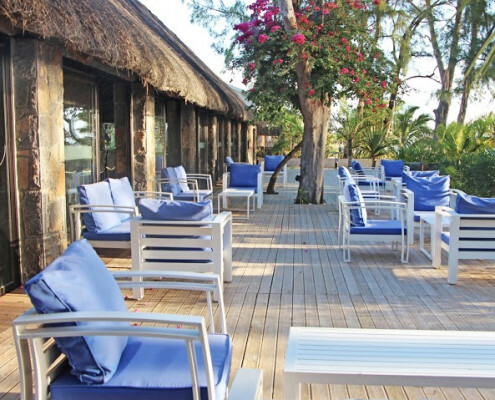 Villas Mon Plaisir is located on the picturesque beach of Pointe Aux Piments village. 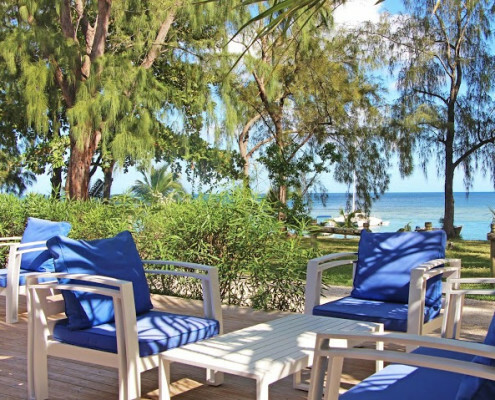 With personalised service, tropical surroundings, an unspoiled coast line and a truly Mauritian island atmosphere, Villas Mon Plaisir is the ideal place to relax and unwind, away from the stress of everyday life. 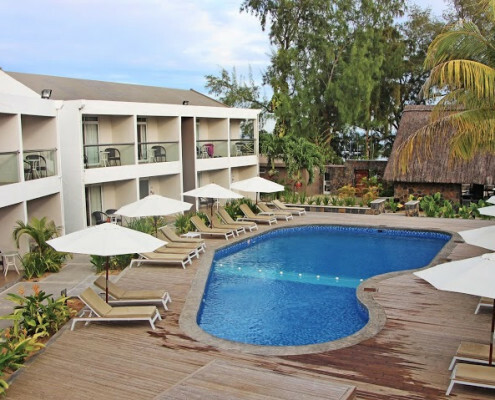 Villas Mon Plaisir is located on the North-West coast of the island, 65 km from the airport and approximately 12 km from the capital, Port Louis. 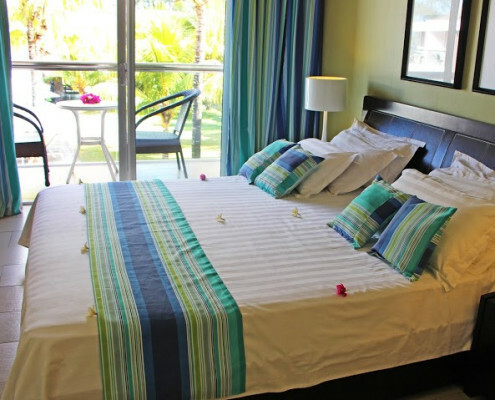 Stylishly decorated guest rooms are all tastefully located with views of the sea and pool and the tropical garden area. 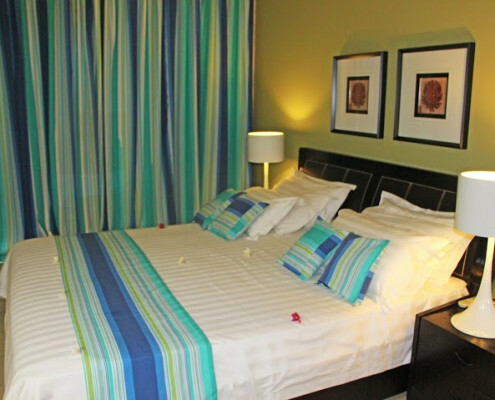 All rooms feature a bathroom with separate shower, air-conditioning, satellite television, telephone, in-room safe and a private balcony or terrace. 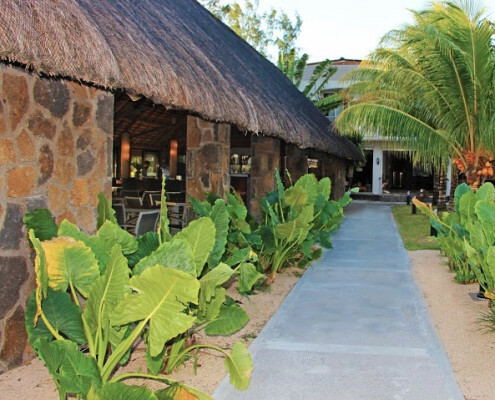 Our sea view restaurant is just steps away from the beach and the turquoise tropical ocean. 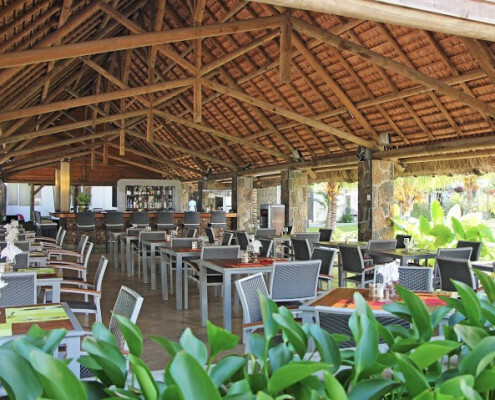 The restaurant and terrace offer a menu featuring Indian, European, Chinese and typical Mauritian cuisine. The speciality of the house is Chinese fondue and grilled lobster. The restaurant offers a buffet breakfast, à la carte lunch with buffet, barbeque and set menu options for dinner. 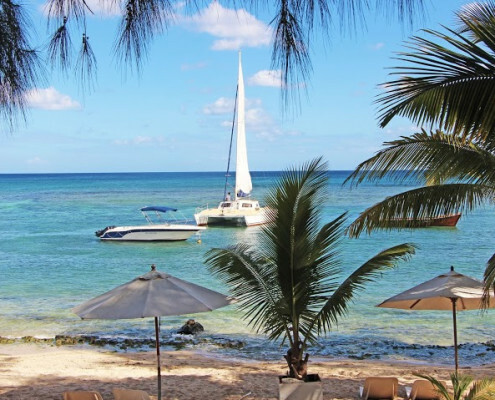 Snorkelling equipment, daily glass bottom boat trip, kayak, Pedalos, Laser sail boat, pool table, indoor games, swimming pool (with deck chairs and towels), French bowls, scuba diving, bicycle rental and Catamaran cruises. 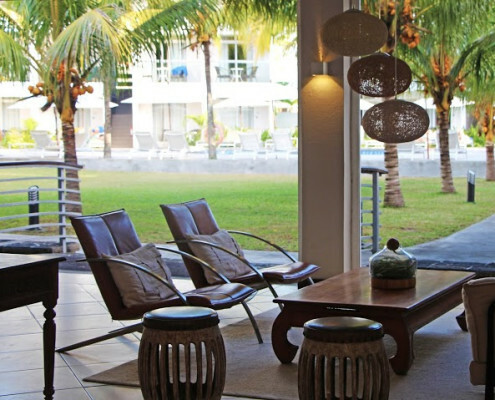 Treat yourself to an unforgettable Mauritius Holiday. Fill in the enquiry form and let us know what your requirements are. 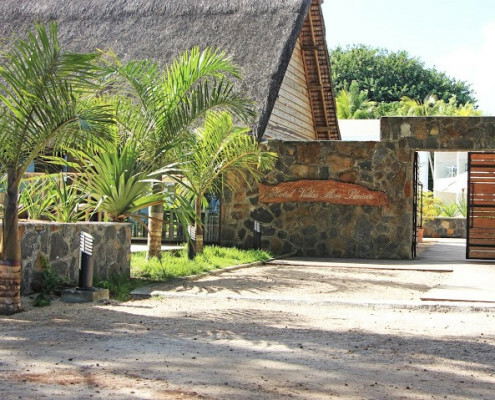 We have specials at most Mauritius Hotels. 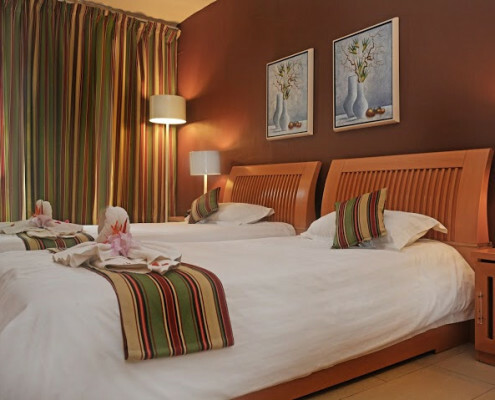 If your hotel of choice is not here, please contact us for a quote. Evening entertainment includes a Sega night and a guitarist show. 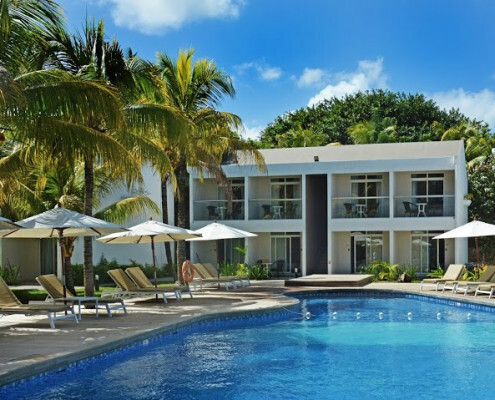 Additional facilities at Villas Mon Plaisir include a laundry service, fax/photocopy facilities, car rental and a house doctor is available on call. Fees on certain facilities/services may apply. 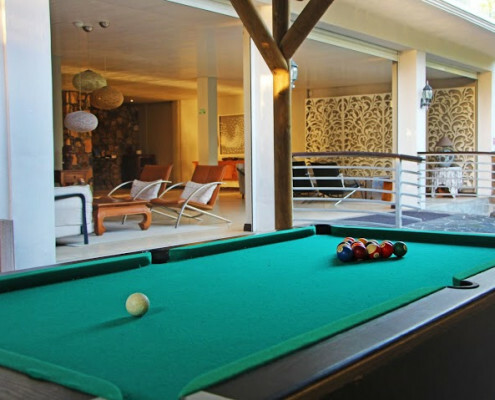 Take a look at our Mauritius Specials and Mauritius Short Breaks. 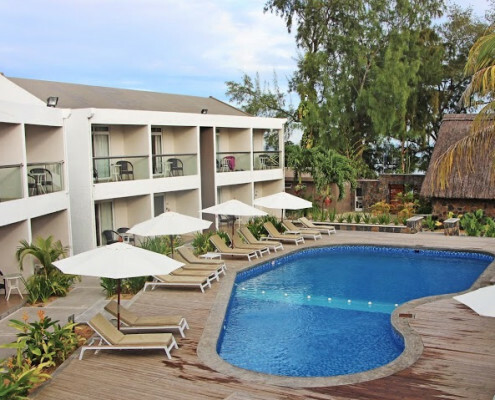 If your Mauritius Hotel or Mauritius Resort is not here, Contact Us and we will create the perfect Mauritius Holiday Package just for you.